Look at that gorgeous smile! 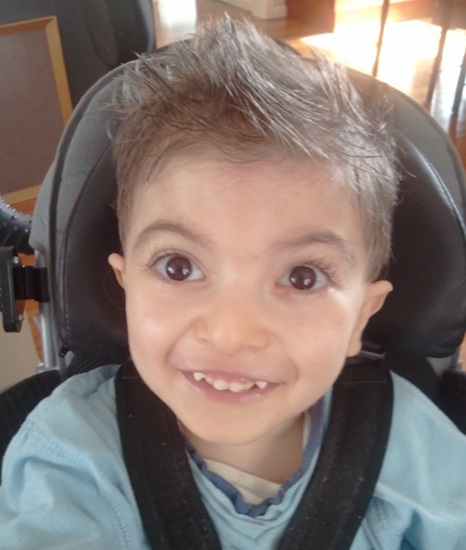 We’re sure you’ve been wondering, as we have, just how little Harris is getting on since starting at the Cerebral Palsy Education Centre six months ago. We got in touch with his family to find out. Harris has now been at CPEC for nearly six months and in this short amount of time, we have already seen an improvement in his abilities – both physically and in his communication skills. 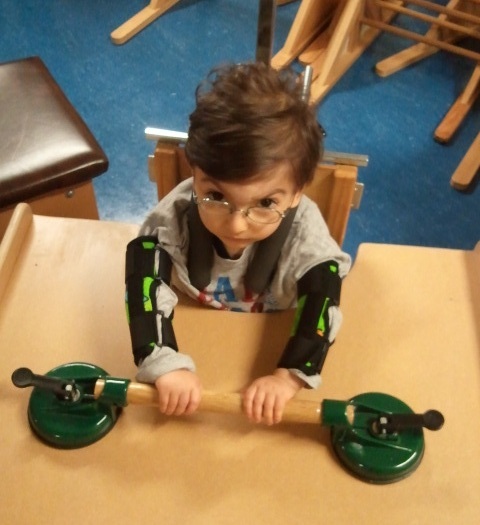 He has further developed strength in his trunk and head control through the various drills and activities. The CPEC program is teaching Harris how to move his body parts effectively. He is now reaching and grasping objects which he has never really been able to do in the past. Harris is really enjoying the social interaction with the staff and children of the CPEC community, where he is clearly happy to see his friends and therapists every week. The therapists at CPEC are truly amazing individuals who are totally committed and dedicated to both the children and the CPEC program, and their knowledge and expertise is like no other. We are eternally grateful to the readers and supporters of Babyology for making our CPEC dream a reality and giving our little man Harris the opportunity to kick some real goals in life. This is great news, and we’re thrilled! Harris’s therapist also let us know that his personality has blossomed in the six months he has been there, and that the use of a communication book has meant great strides forward in his ability to communicate with his family, friends and therapists. Thank you again to all our readers, for helping us to help the Kosmatos family. Go, Harris!